After a 6 month wait we finally have new content coming to Destiny in April 2016. Simply titled the "April Update" (Destiny 2.2 by it's technical name) this mini-expansion includes new Exotics, a Strike, PvE challenges and an increase to Light Level. Many of us have been highly distracted by the new kid on the block, "The Division", but this official confirmation for Destiny's April Update is welcomed news to those of us who still hold Destiny close to our hearts. Alright it's not a full expansion and we should accept the fact that free content usually means limited content but you won't need to ask me twice to start playing again. The April Update will be released on April 12th, a Tuesday, on all platforms. Anyone who has purchased The Taken King DLC will benefit from this free update. The fact that Bungie are mentioning PvE Challenges would suggest that existing content will be available on a new "Challenge" level difficulty. Not sure if this will stretch to complete raids at higher levels e.g. Crota, Vault of glass etc. but it's more likely that a new Strike Playlist is inbound with the new Light Level controlling the difficulty. It would make sense if older content was brought forward to the new higher cap and it's also a chance for Bungie to bring forward many of the older Strikes which were previously degraded. We can only hope that raids are included in that statement but I think it's doubtful. We know that several exotics have yet to be brought up to the Taken King's light level and I sense that this is now Bungie's chance to push those back into the game. Additionally we also have the anticipation of "new" gear as well, which certainly raises the hype bar considerably. Will we see new exotics or simply high level raid style gear? Either way, new is new and it's good that players have something new to work towards and be rewarded for. Bungie have planned a series of livestreams to tease all of the April content so until that takes place we won't really know what the Blighted Chalice Strike entails. However, fans have speculated that Malok will be the boss fight for this mission with familiar enemies and a familiar location making up the meat of the quest. As I mentioned above, it's free content so don't expect to see new enemies and new locations yet because these will certainly be included in a larger update in September - which we all presume is a major Cabal related expansion. With any new content comes an increase in Light Level - we all expect that kind of change in Destiny. Gear drives your characters light level and with the new gear that's already been mentioned we know that claiming those exclusive rewards will impact your ability to take part in high level content. Keeping up with the maximum Light Level is an important (and ongoing) challenge in Destiny which also becomes more important when future DLC's are on the horizon. Missing out on this "gap-up" now will put you further behind for the larger expansion come September. 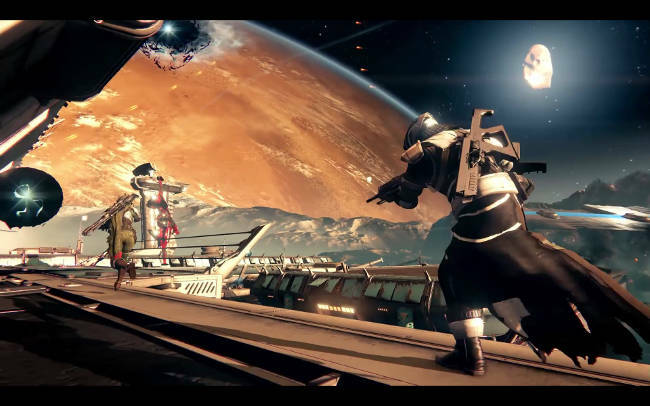 Currently, the max Light Level is 320 which was introduced following the Taken King expansion back in September. Given that the April Update is fairly minor we can expect Light Level to jump only slightly to 360 or maybe 400. Crucible is a solid part of Destiny and in most cases it's usually the activity which survives a content drought better than PvE. For the April Update it's certainly going to include new maps with the possibility of new game modes. Rather intrigued to see what the Sandbox term actually means for the April Update.